Chicken is a great source of protein and is rich in niacin, selenium and several other important nutrients. It is a firm favourite of bodybuilders and dieters alike and with good reason. 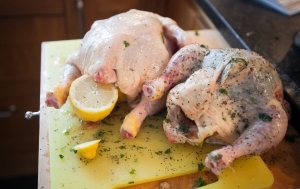 Chicken is one of the best meats to eat from a health perspective. If you are following the Paleo diet, then lean meats and fresh vegetables will be staples of your daily diet. Chicken is an incredibly versatile food and even if you aren’t a dedicated chef you can produce a wide range of dishes from it, including curries, stir fries, soups and salads. The niacin in the meat is used by the body to keep your brain healthy. A diet rich in niacin can help to protect your brain from Alzheimer’s disease and dementia. The lean meat contains lots of vitamin B6, which helps to reduce homocysteine levels. Homocysteine builds up in your blood vessels and damages their walls. Selenium helps to regulate thyroid function. Selenium deficiency can cause many thyroid problems, including poor T3 levels. Skinless breast meat is rich in protein and is less calorie-dense than other meats such as pork and beef. The protein fills you up and ensures that you stay satiated for longer, making it easier to follow a calorie-controlled diet. The B-vitamins found in the meat help you to stay energised and stop you from feeling run down when you are following a low-calorie diet. If you are an athlete or a bodybuilder, then you need to eat more protein than the average person. Chicken is a great source of protein and is much more affordable and satisfying than a whey protein shake. Chicken is an important part of the Paleo diet, but not all birds available at supermarkets are equally nutritious. The best birds to eat are free-range ones that have been raised on organic feed. Battery-raised birds tend to contain less protein than free-range birds and there is some risk that there may be traces of the drugs in their food left in the meat. 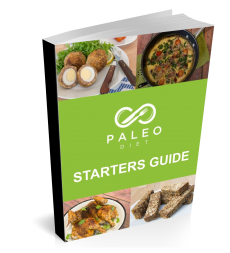 The Paleo diet is known as the caveman diet for a reason. If your caveman ancestors wanted chickens, they would catch them in the wild. Today, free-range chicken is the next best thing. Be aware that many farms and supermarkets can be quite misleading in their marketing, using nice, friendly-sounding terms such as “farm fresh” to make it sound as if their chickens were raised outside. There are no regulations governing the use of those terms. Even “free range” simply means that the chickens have access to the outside via an open door – but they may spend most of the time in their pens. The best way to find nutritious, organically fed birds is to talk to local farmers and support the ones that look after their livestock.